Creative DIY business card holders are a fun way to express your style as you share your cards with friends. 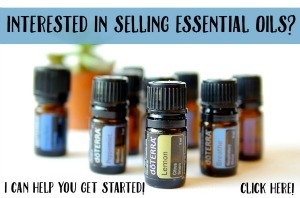 I have a few that I use because I have a hard time deciding on just one! You might have the same problem after you see this awesome collection of DIY business card holders that you can make in minutes! Make one for yourself and one to share! 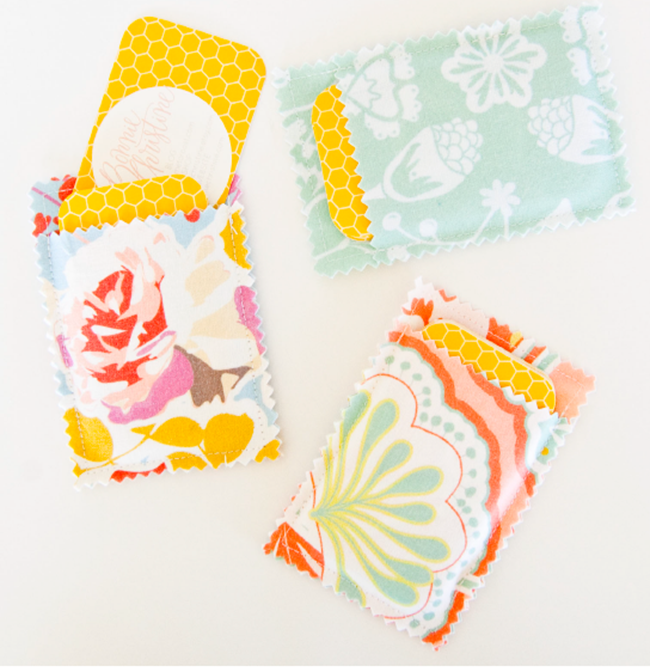 Bonnie from Going Home to Roost shares how to make a fabric lover’s dream business card holders…they’re easy to make & BEAUTIFUL! This transparent business card holder will go with any style cards…simple and elegant, don’t you think?! Oh my goodness, this is one of the cutest business card ideas ever! 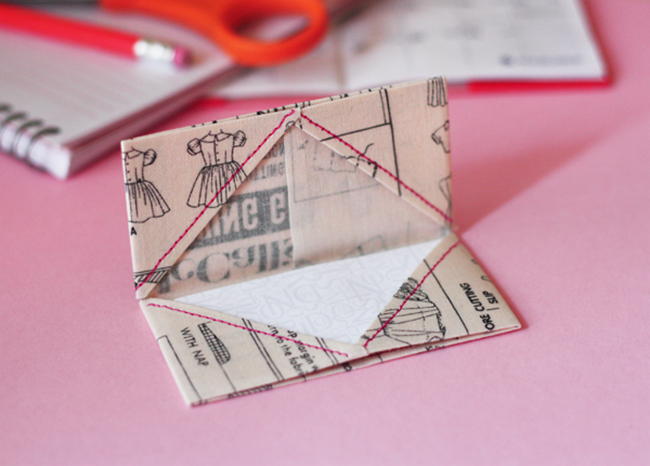 Learn how to make your own origami style business card holder at How About Orange! 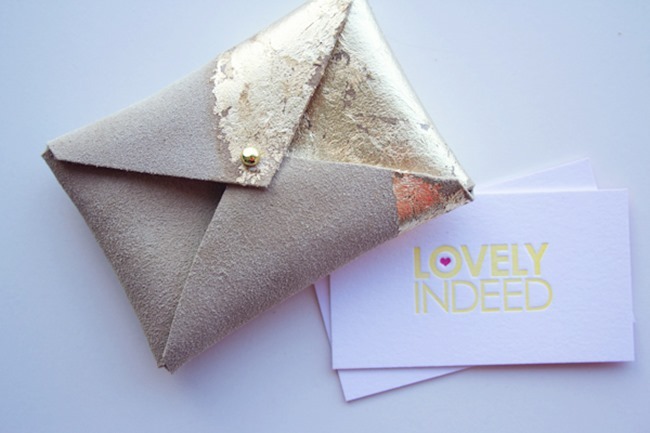 This super creative sued and gold leaf business card holder is hot! 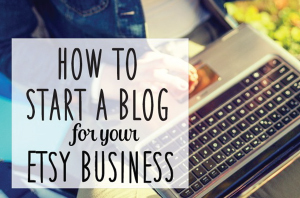 Lovely Indeed has a wonderful tutorial to share with you…make one! 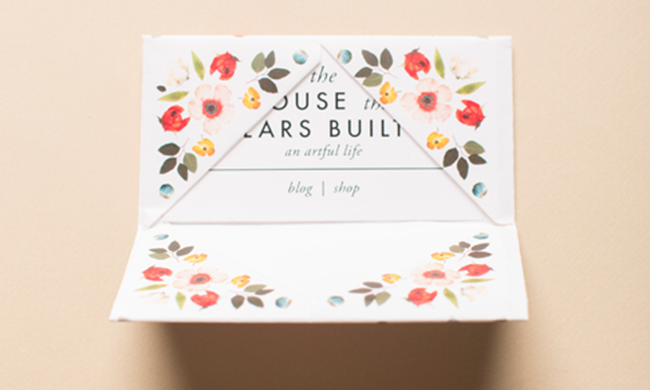 This is a beautiful printable DIY business card holder from The House That Lars Built…Wow! I love this one! 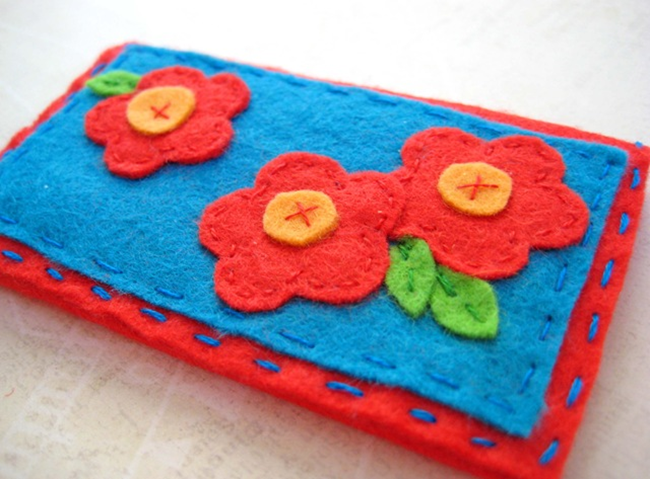 I made this sweet little felt business card holder years ago and it’s still one of my favorites! You can find the tutorial right here on Everything Etsy. Got yarn??? Whip up a fun crochet business card holder in minutes! 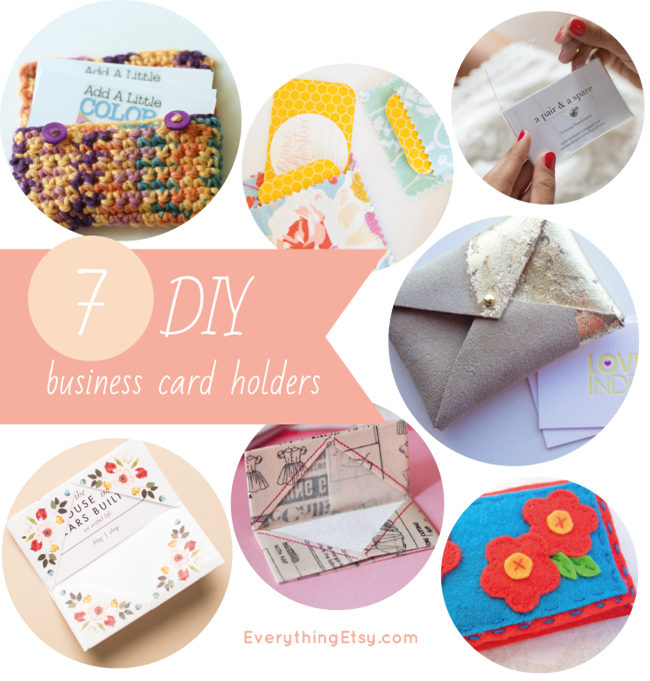 There’s something for everyone in this collection of DIY business card holders! Which one will you make first?? Your Invitation to Join Us on Handmade Tickle! Such chic card holders! I particularly love the transparent one and the printable floral one. Great picks! I love these. Thank you so much. And I love Everything Etsy. I’ve been thinking about how I can make a cute card holder for my new cards. Now I have some great ideas. Thanks for sharing.